February | 2013 | Normative Signs: The Poetry of "Ought"
This is in the building my office is in. 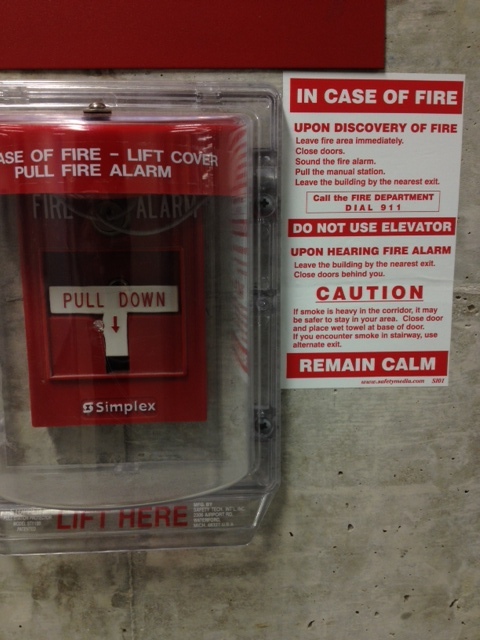 My thinking: in case of fire, people definitely cannot be expected to stop and read fine print. 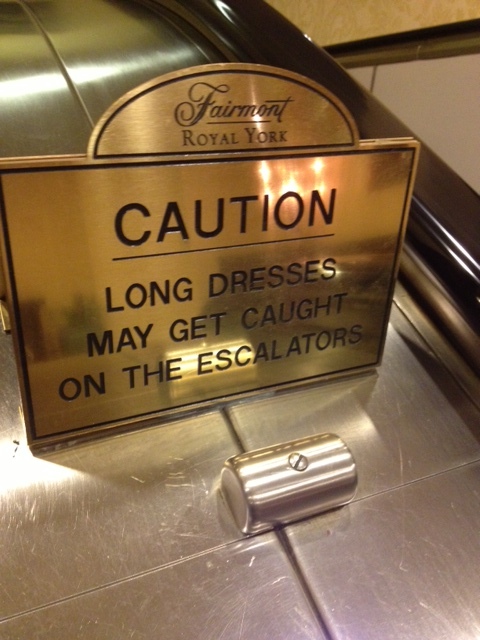 This one is on the escalator at the Fairmont Royal York (hotel) in Toronto. For those of you who don’t know it, the Royal York is a fancy hotel, the kind where events get held at which long dresses are not unlikely. 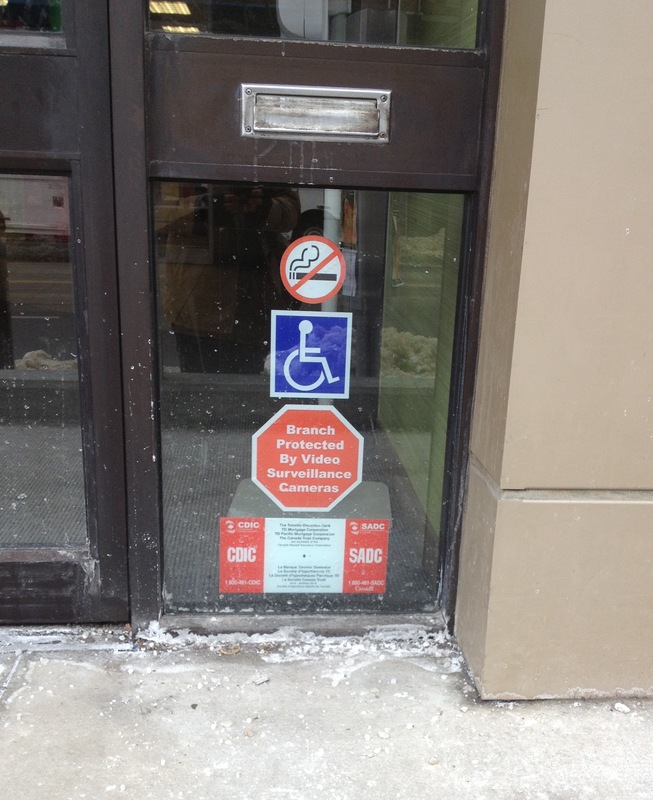 That, of course, explains why the sign is needed. 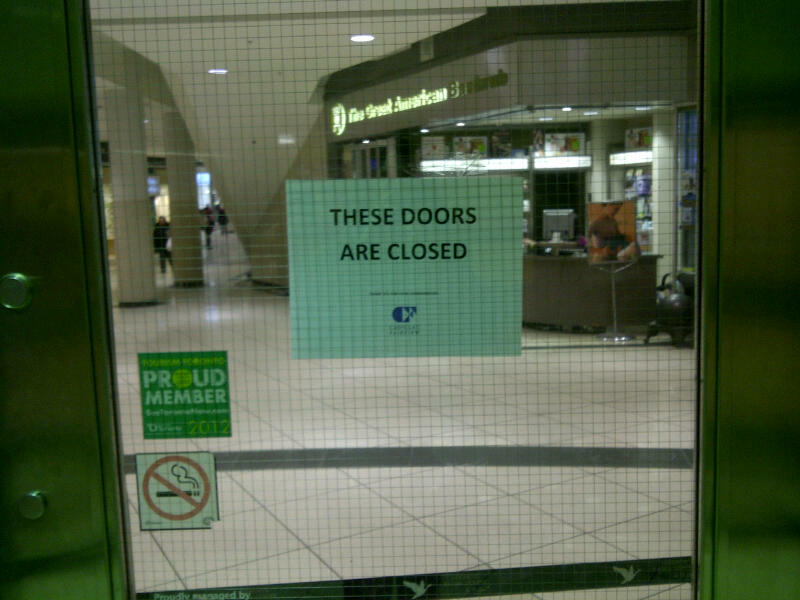 But it also suggests that long dresses may be sufficiently common that a sign like this may not be sufficient. The sign is also interestingly lackadaisical. Long dresses may get caught. You know, it happens. 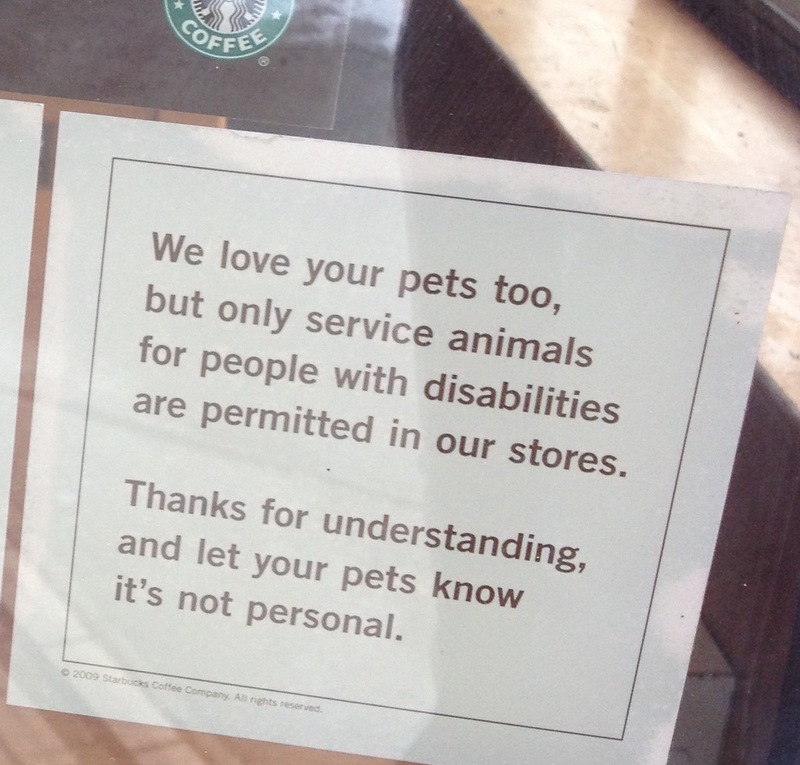 I have a soft spot for normative signs that go beyond the “do this” or “don’t do that.” This one is from a Starbucks in Toronto, and takes a friendly (damn near tender) approach to telling customers that pets are not welcome. This is quite a different kind of normative sign. 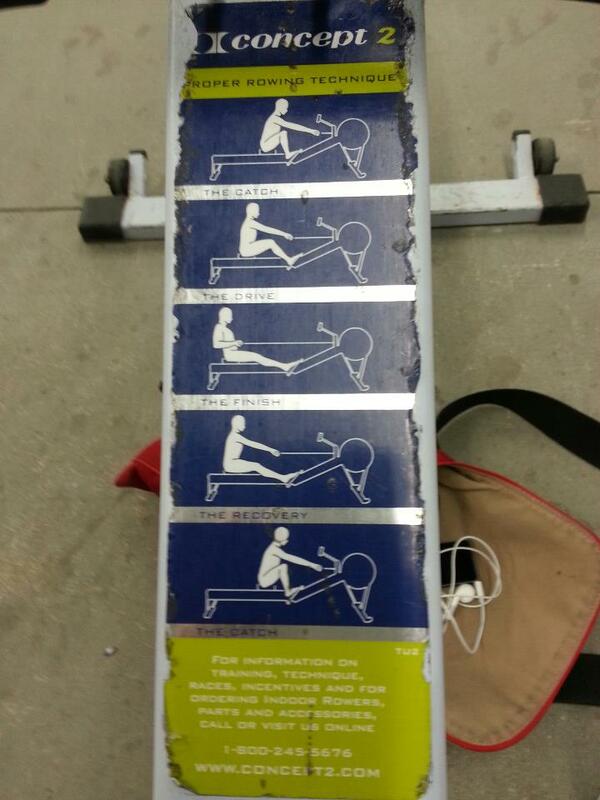 It’s a pictogram showing how to use a piece of exercise equipment, namely an ergometer (rowing machine). I suspect there are 3 implicit messages, here. Here’s how to get the most out of this exercise. Here’s how not to get hurt. Here’s one I’ve never seen before. 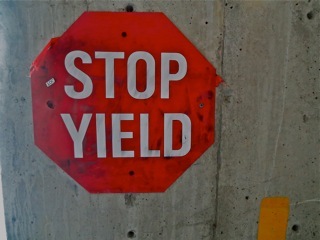 It’s from a covered parking garage in Ottawa. What’s going on here? 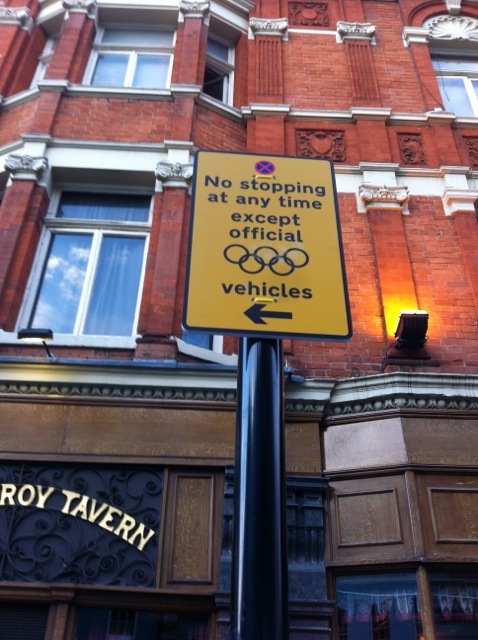 Is this sign self-contradictory? Or merely emphatic? 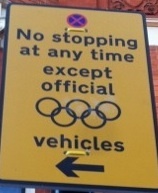 Or is it a requirement that you first STOP, and then yield to, say, traffic coming from another direction? If it IS meant to imply something like the latter, how is anyone supposed to guess that? 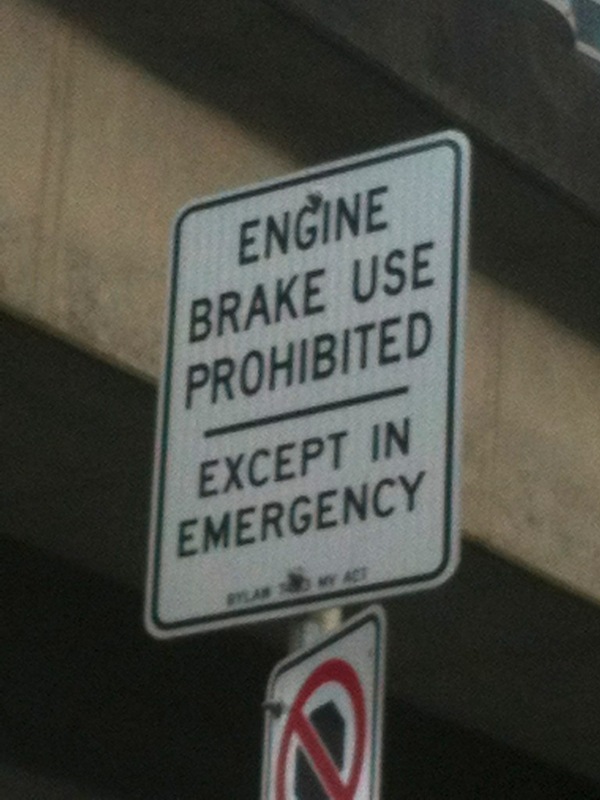 This one is aimed at truckers; very few people other than truckers know what engine brakes are, anyway. Engine braking is a way of abruptly slowing a truck’s engine as a way of slowing the vehicle (sort of like shifting down). It’s loud as hell, which is why it’s forbidden in lots of residential areas.